A muzzle brake is a firearm attachment that extends the barrel of the gun. 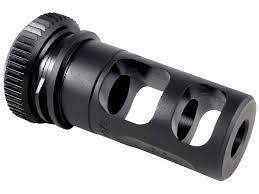 Below is a picture of a muzzle brake. The point of a muzzle brake is to help increase accuracy by reducing vertical recoil when fired. It does this by venting out the gas horizontally in the muzzle brake, rather than letting it spread out in all directions as the bullet exits the barrel. When fired, a large amount of pressurized gas is created within the barrel, and immediately tries to escape, launching a bullet one way, and the gun back. When the gas reaches the muzzle brake, it has its first chance to fully escape and spread out, so it vents out the horizontally-aligned holes, creating a leftward and rightward force, rather than vertical forces. So if this pressurized gas is shooting out the sides of this muzzle brake, it must be more concentrated. And if it's more concentrated, it must be more powerful. But what else could make it more powerful? PSA: CLEAN YOUR FIREARMS AFTER USE. 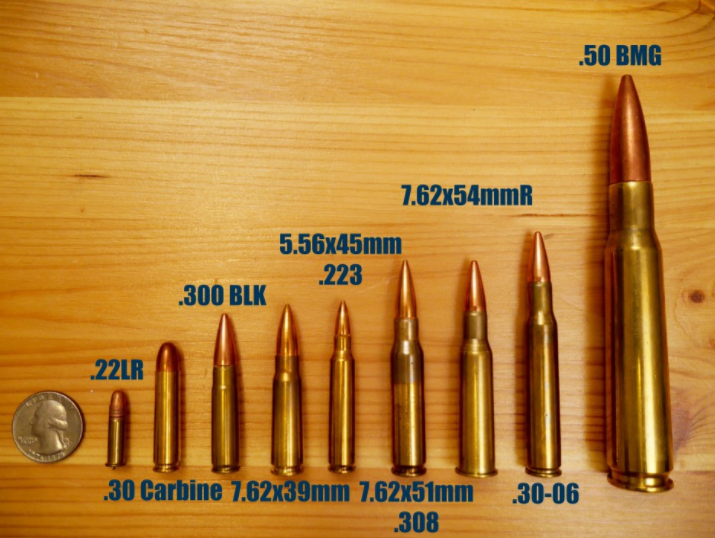 Now let's take a look at a .50 BMG. Prepare yourself. So yes, a muzzle brake will break stuff, quite spectacularly. But if you want to break stuff with a muzzle brake, it will cover you gun, not so spectacularly. Still, an interesting thought, especially when you consider that many tanks or artillery (or artillery tanks) have giant muzzle brakes on them. Maybe they could flip a car. Personally I am a trebuchet guy but that is neither of our faults simply things are without reason, explanation or blame. People deserve to be happy.